Horror fans rejoice. The slasher genre has remained dormant for quite some time, but will soon receive a serious shot in the arm. In the wake of innumerable found footage movies and remakes, John Carpenter will soon return to the Halloween franchise to set the genre back on course. Carpenter’s work remains instrumental for the world of horror, and Halloween went on to inspire numerous copycat franchises – most notably Friday the 13th. They say imitation is the highest form of flattery, but Carpenter apparently doesn’t seem too fond of Jason Voorhees’ corner of the slasher world. And Friday the 13th, I feel, affects me as very cynical. It’s very cynical moviemaking. It just doesn’t rise above its cheapness. It’s not terribly difficult to understand why John Carpenter may consider Friday the 13th cheap or cynical. Although the seeds of the modern slasher genre had been planted with films like Psycho and Texas Chainsaw Massacre, it was John Carpenter’s 1978 film Halloween that really created the archetypical slasher film that would become incredibly popular during the 1980s. It’s easy to see the DNA of Carpenter’s work in Friday the 13th, only the Camp Crystal Lake horror adventure features much more gore, and it never features a Laurie Strode or Dr. Sam Loomis-type character for the audience to genuinely root for. Basically, we seem to root more for death than for survival during these films. All that being said, I’m not sure if John Carpenter’s distaste for the original Friday the 13th is entirely warranted. Although the Friday the 13th franchise would eventually become pretty stale as masked killer Jason Voorhees became more and more unstoppable with each passing installment, the original, for all its blood and gore, still maintains some pretty solid suspense and scares. 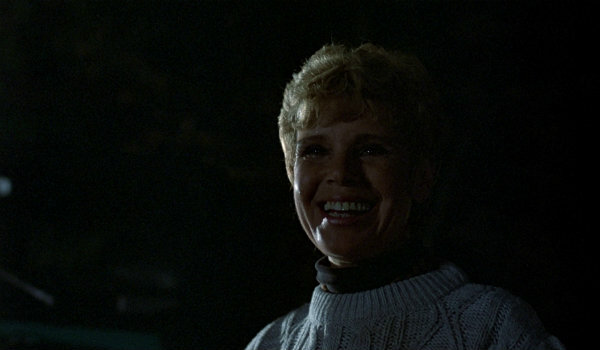 The reveal of Jason Voorhees’ mother as the true killer of the first film in the franchise remains an inspired creative choice to this day. And while we can certainly level accusations of cheapness against the later sequels, most horror fans agree that Friday the 13th represents a classic moment for the genre. Whether or not you agree with John Carpenter’s take on Friday the 13th, there’s no denying that it represents an important turning point for the horror genre as a whole. With new installments for Halloween as well as Friday the 13th on the way, we can only expect this rivalry to continue into the future. We will keep you up to date with any and all horror updates as they become available to us. The next Friday the 13th film will hit theaters on January 13, 2017, and the latest installment in the Halloween franchise is currently in development.